Crafters Companion > Blog > Create clear-cut curves with the new Gemini Build-a-Block Curves! Create clear-cut curves with the new Gemini Build-a-Block Curves! 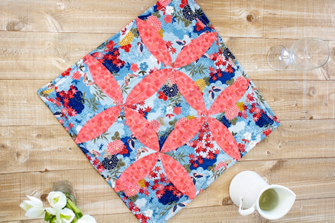 Get all your quilting curves in all the right places with the brand-new Build-a-Block Curves sets from Gemini. If you’re a fan of the original Build-a-Block or Build-a-Block PLUS systems, you won’t want to miss this! We all know how difficult it can be to cut out curved elements for your quilting blocks. You’ve got to measure them properly, line them up accurately on the cutting mat and make sure your rotary cutter is slicing all the way through. Well, we’ve had enough! Let the new Build-a-Block Curve systems do all of the hard work for you! Curved pieces are notoriously difficult to cut, but the Build-a-Block system is here to help. Whether you’re looking to create Drunkard’s Path, Bay Leaf, Winding Ways or Rob Peter To Pay Paul blocks, these new sets are bound to provide you with the curves you need. So, what exactly is the Build-a-Block system? 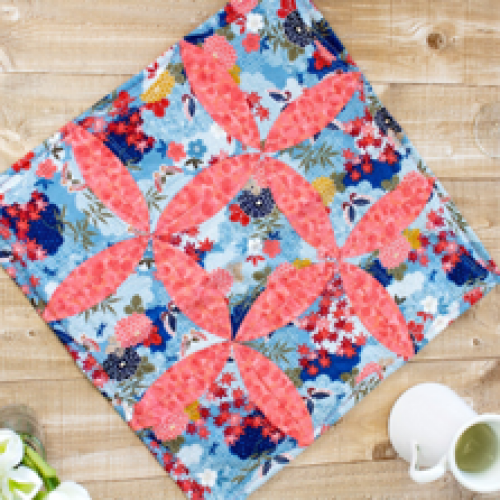 The idea behind the concept is to make quilting and patchwork easier for everyone, whether you’re a beginner or an expert, by using Multi Media Dies. These dies have the ability to cut through multiple layers of fabric, so they will save you precious time when it comes to cutting out each piece. To use them, all it takes is a simple pass through the Gemini die-cutting machine or any other compatible die-cutting machine. Just place the die with the blade side facing upwards on to your cutting plate. Add your chosen fabric on top, then sandwich the whole thing with another cutting plate. Slowly roll this through your die-cutting machine and you’ll be left with a crisp cut out. It really is that simple! 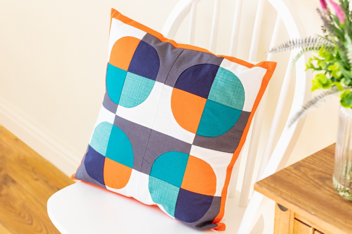 Each of the four sets in the Build-a-Block Curves range will help you to create patchwork blocks in a variety of common sizes – 6”, 8”, 8” and 12” – and well-known quilting designs that will look beautiful in all projects. 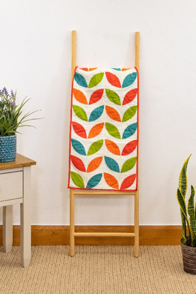 Just take a look at the gorgeous Drunkard’s Path quilt above! This whole project was put together using the corresponding Build-a-Block system and the Gemini Stitch– looks pretty great, right? Not only do these systems work brilliantly on their own, but they can also be used alongside the original Build-a-Block and the PLUS for the ultimate precision. You could even try mixing and matching the Curves systems for completely unique looks! If you’d like to save time and create high quality blocks in your quilting or patchwork, then keep your eyes peeled! The Build-a-Block Curves systems will be released in the UK on April 5thand in the US on HSN on April 15th.